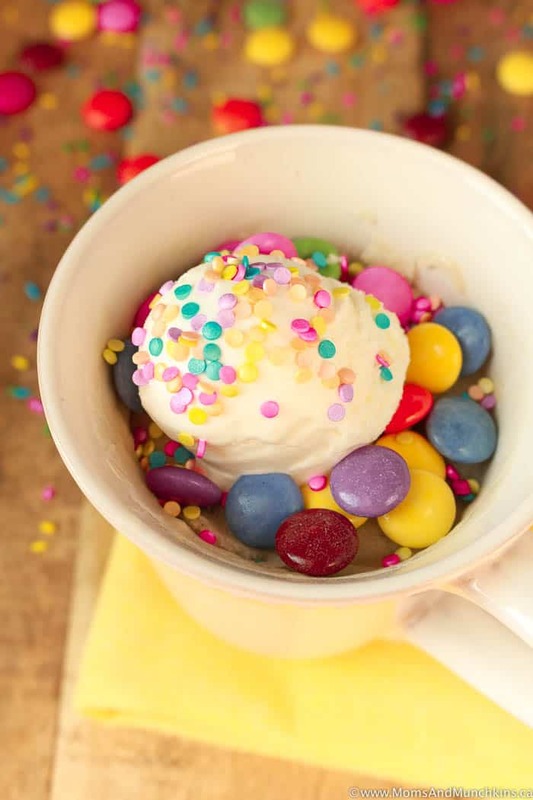 Mug cakes are the ultimate midnight snack! Why? Because they are super easy to make, minimal dishes to clean up after, and you don’t have to share! I’m a very kind, giving, and thoughtful person but I do not share desserts. Want some of my salad? Sure, grab a fork. Want half my sandwich? No problem. Want to taste a bite of my dessert? Back off! Yes, I draw the line at sharing desserts. It’s the worst at a restaurant when you order a dessert that you’ve been dreaming about and the person with you asks the waitress to bring two spoons. Excuse me? No. Just want one bite of mine? Still no. Order your own and if you can’t finish it, I’ll gladly help you out but I do not share my dessert. Maybe this is why I’m currently single…something for me to think about. Ha! 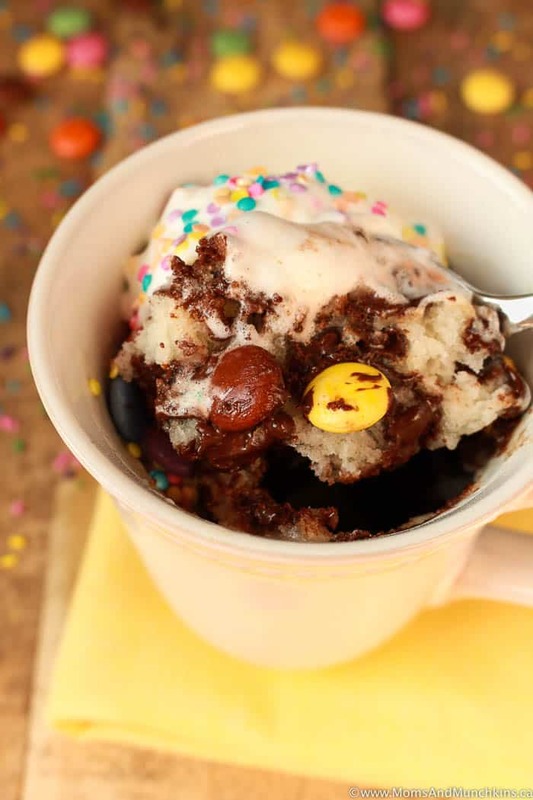 In the meantime, let’s get to this delicious Chocolate Chip Mug Cake recipe. Your own personal cake, in a non-sharing size, ready in less than 5 minutes. I topped this cake with vanilla ice cream but frosting would be just as good. The cake is loaded with chocolate chips but I also topped mine with chocolate coated candies. There’s really no such thing as too much chocolate. Optional: Top with vanilla frosting or ice cream, chocolate coated candies and sprinkles. 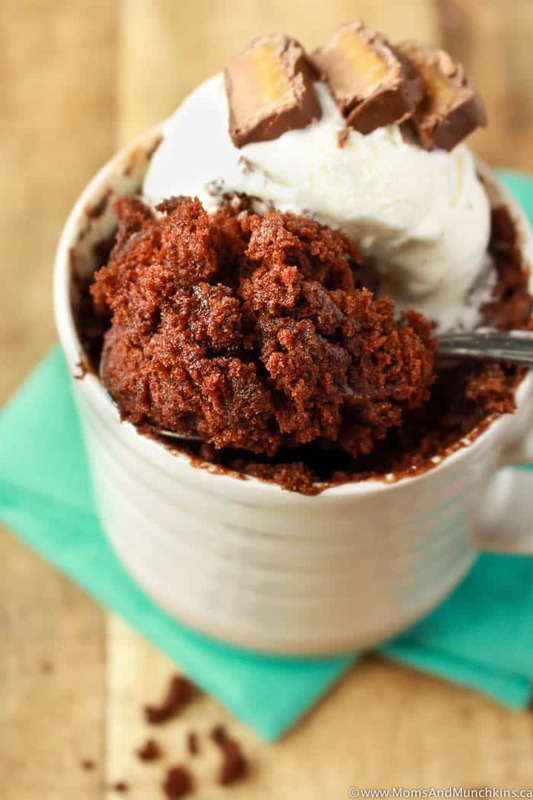 Chocolate Caramel Mug Cake – loaded with extra chocolate and caramel topping. 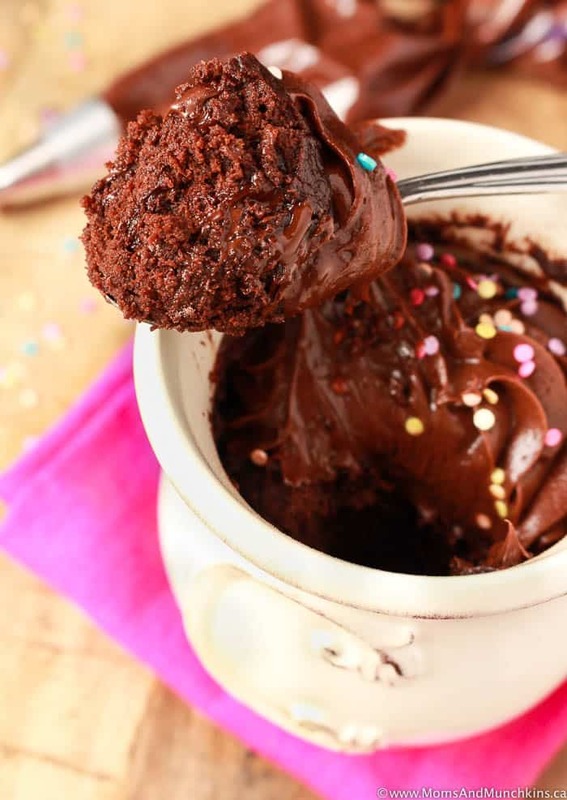 Double Chocolate Mug Cake – totally irresistible! Check out our desserts page for even more delicious ideas. Stay updated on the latest by following us on Instagram, Facebook, Pinterest and Twitter.